Ron R. Wolforth is the founder and CEO of Pitching Central and Ron Wolforth’s Texas Baseball Ranch, LLC in Montgomery, TX. Coach Wolforth has written 5 books on pitching, the latest being his national best-seller The NEW Athletic Pitcher ™. Since 2003, 76 of Coach Wolforth’s clients have been drafted, including the 2011 Golden Spikes Award winner and #3 overall pick, Trevor Bauer. In that same time period, 146 of Coach Wolforth’s pitchers have broken the 90mph barrier. He is considered the world’s leading expert on the objective measurement of pitcher’s performance and movement patterns. No one in the world today has developed more 90 mph arms in a single location since 2003. Coach Wolforth has consulted for 3 MLB organizations and dozens of NCAA programs. 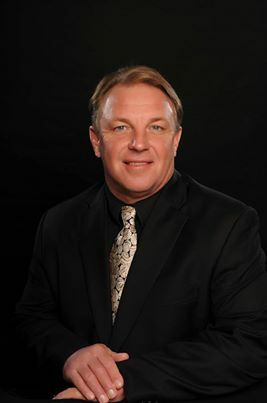 He is a regular featured author in Collegiate Baseball and has been a feature speaker at the American Baseball coaches Association (ABCA) National Convention five times since 1999 as well as a presenter at the American Sports Medicine Institute’s “Injuries in Baseball” Annual Conference. Coach Wolforth has also been utilized by corporate organizations such as AXA Equitable Life as a motivational coach for their branch managers, mentoring them on how to improve performance and contributions from their team members. His 20 year passion for uncovering possible constraints and limitations to baseball performance as well as identifying the keys to accelerated growth and development stems from the fact he was very dissatisfied with the level of his own performance as a college player and vowed to help other athletes avoid his mistakes and instead maximize their God-given potential. Hundreds of elite athletes from all over the world come to Montgomery, TX to work with Coach Wolforth. Some of his clients include Trevor Bauer, Scott Kazmir, Raul Ibanez and CJ Wilson. While Coach Wolforth’s playing career offered few superlatives, his academic career was quite a different matter. He was named both the Physical Education and the Secondary Education Student of the Year at Sam Houston State University in 1983.